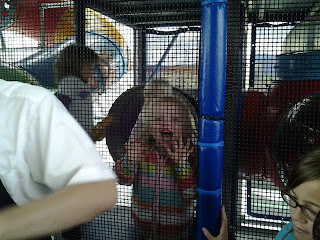 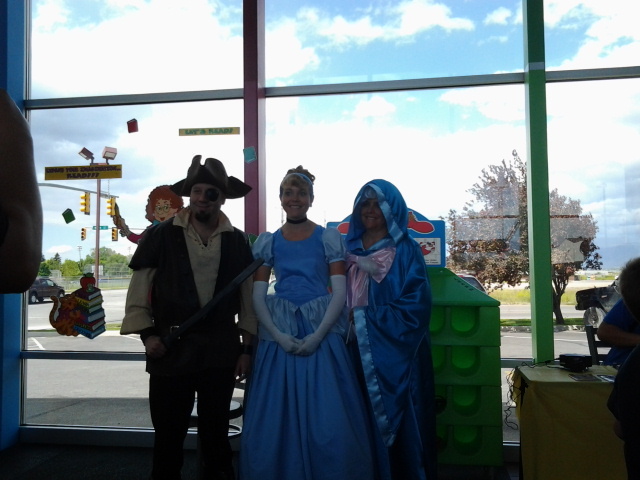 On Saturday June 9th, McDonalds in Hyrum was having a summer reading kickoff party so we went. 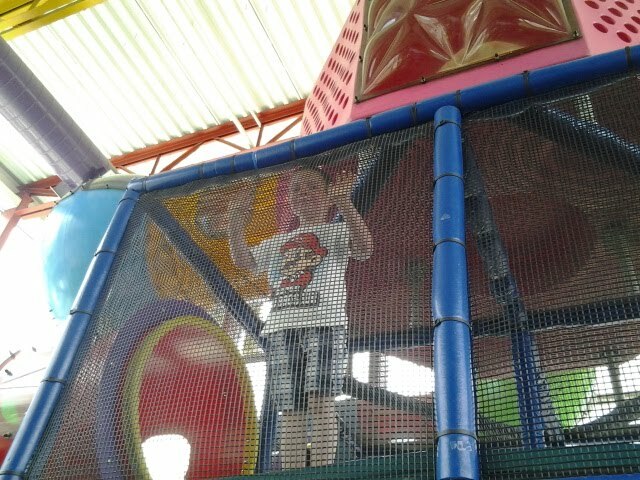 It was lots of fun! They were giving a free book to the 1st 100 kids and a free ice cream cone to the kids. 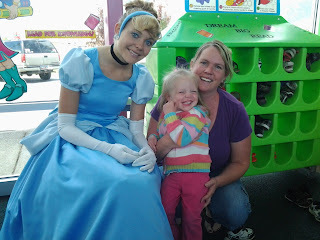 When we first got there Gracie was a little nervous about the princess but we got a picture anyway. 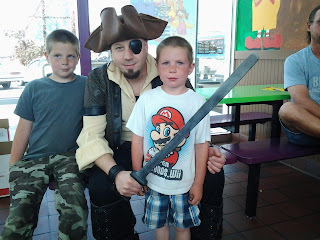 The boys were able to get their picture taken with the pirate. It was the perfect ending to a fun filled day! There was also a kid/guy there who was making balloons for the kids. 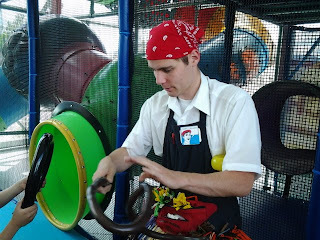 He was very talented! 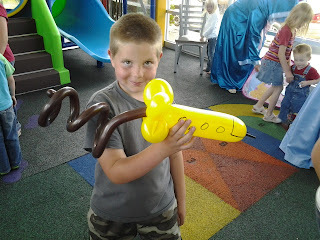 He made a flower for Gracie, a sword for Alex, and a rocket for Benjamin. 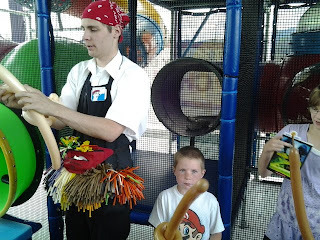 Some of the other things I saw him make included: a monkey in a tree, an owl, a caterpillar, and a penguin. Of course the kids had to play at the playhouse for awhile.